Cockroaches appear frightening to many homeowners, but their offensive look is far from the most important reason to get rid of these pests. Roaches can carry diseases, aggravate the symptoms of asthmatics, and contaminate food and water. When roaches take up residence inside furniture, they can be persistent and difficult to remove. By considering the habits and behavior of roaches, however, you can design a control method to protect your family and furniture. Vacuum the furniture in which the roaches have taken up residence. This is a simple, non-toxic and low-maintenance method for removing cockroaches from furniture. Vacuum up any roaches and roach egg capsules -- light tan, 1/4 inch long pill-shaped objects containing roach eggs -- you observe on the furniture and monitor the furniture to see if the infestation has been removed. Eliminate moisture sources near the infested furniture. 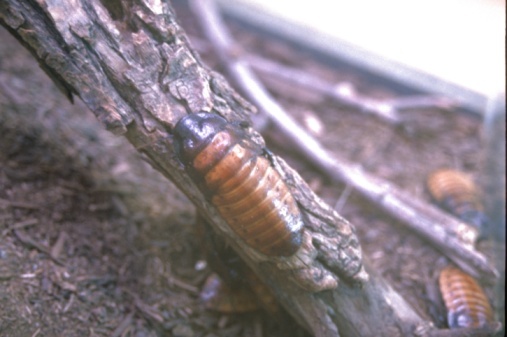 Of all roach species, the one most likely to infest furniture is the brownbanded cockroach -- this roach only stays in one place when that spot provides an abundant source of moisture. Eliminating the source of moisture will compel the roaches to leave, so repair any leaking pipes or appliances, dehumidify the room or seal off toilets and faucet heads that could be serving the roach's moisture needs. Cold-treat the furniture. During cold winter months, move the furniture outside when temperatures are at 20 degrees Fahrenheit or colder. The extreme cold will kill off any infesting roaches. Smaller pieces of furniture, such as foot rests or disassembled parts of other, larger furniture pieces, can be placed inside the freezer to the same effect. Again, check the furniture regularly after the cold treatment to make sure the roaches have left. Can Baby Roaches Live in a Fridge?